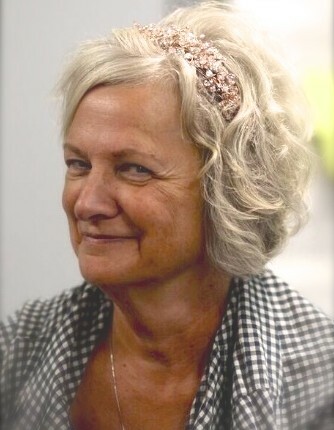 She will be lovingly remembered by her husband, David Letsch (Warsaw, Indiana); two sons: Michael (Doris) Taylor (Warsaw, Indiana); Matthew Taylor (Kimmell, Indiana); step-son: Dave Goshert (Pierceton, Indiana); three step-daughters: Amanda (Russell) Webb (Warsaw, Indiana); Melissa (Mark) Collado (Tomball, Texas); and Jillian (Christopher) Shively (New Paris, Indiana). Also surviving are eleven grandchildren: Jason, Austin, Anthony, Jazmyn, Jaxten, Dylan, Hayley, Xander, Lorelei, Maddox and Lucy; one great grandchild: Hazel; brother: Merle Warren (Fort Wayne, Indiana); and her sister: Judy Dewlen (Covington, Indiana). She was preceded in death by her parents, husband, Richard C. Goshert in 2003, her sister, Rita, two brothers, Scott Davis and David Vanderveen, and her grandson, Matthew Taylor Jr. Her funeral service will be conducted at 11:00 a.m. on Thursday, January 24, 2019 at First Christian Church, 115 Park Ridge Drive, Warsaw, Indiana and officiated by Pastor Gary Boschain. Burial will follow with a graveside service at Oakwood Cemetery of Warsaw, Indiana. Visitation will be held on Wednesday, January 23, 2019 from 3:00 – 7:00 p.m. at Redpath-Fruth Funeral Home, 225 Argonne Road, Warsaw, Indiana. There will also be an hour of viewing prior to the service on Thursday, January 24, 2019 from 10:00 – 11:00 a.m. at the church.